Although Christian ministry is rightfully considered part of Body Life, we find it is so ignored in the modern church that it should be considered on it's own. Ministry is practicing biblical love, which is the goal of Christian instruction (I Tim l:5). Each person needs to contribute their function in order for the Body to be healthy (Eph 4:l6). Ministry counteracts a selfish, temporal value system by replacing it with investment in eternal things - people (See Mt 6:l9-2l and interpret in light of I Thess 2:l9,20). Gives outlet and an unselfish purpose to the other means of growth. Apart from ministry, the means of growth will tend to be viewed as purely self-serving tools, and thus will not result in growth. Selfishness or faulty (temporal or materialistic) values system - unwillingness to serve others. Because people do not believe that ministry fulfills them, they neither initiate nor persist in it. Yet without both initiation and persistence, no meaningful ministry (or fulfillment) can be expected. Ignorance of the Body concept taught in Scripture. People with an institutional church background often think that no one is able to minister except the clergy. Discouragement over previous failure in ministry. They may have been taught that it is impossible to minister unless they know what their spiritual gift is. These gifts may take years to emerge into recognizable form. Therefore, considering a precise knowledge of your spiritual gifts to be a prerequisite to ministry may lead believers to despair long before gaining that knowledge, as they conclude that they are unqualified to minister. Obviously, you must be vitally involved in the Body, since this is where most ministry occurs. Rather than choosing a gift area with which to experiment, choose a person and try to meet all of the needs you discover in them. This teaches you to actively search for the needs, an essential ability for effective ministry. When you find needs which are beyond your ability to meet, find someone who is competent for the task. Watch them closely and question them. In this way, you learn an additional ministry skill. Over a period of time, your areas of ministry strength (gifts) will begin to emerge. In the meantime, you have been fruitfully serving the Body! 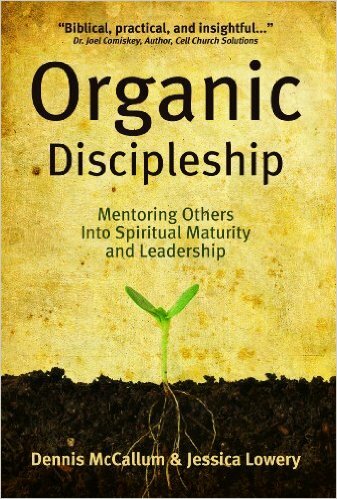 Personal discipleship by an older believer is very helpful in development of ministry skills. The older believer can often answer questions or problems encountered. They can also encouraged those who are discouraged by relating similar experiences in their own life. Discipleship is effective only when the goal is seen to be victorious love outreach on the part of the disciple. Discipleship within the context of cell group is especially helpful for a number of reasons. The cell group leader can disciple a number of people at once. Also, the younger believers can learn to work together and offer each other the encouragement, advice and accountability that is essential for effective ministry. Persistence - ministry skills take time to develop. Any Christian can become highly competent in ministry, but such competence is the result of much effort, study, failure, etc. Often, those who are less gifted succeed in ministry because they have the determination to keep going. Ask if your people desire to be used by God, no matter what the cost. This is the attitude necessary. Distill the meaning and significance of each of the following passages.